Jupiter’s Red Eye, that trademark spot on the gas giant’s surface that is its most recognizable feature, appears to be shrinking faster than ever. Earlier this year, amateur astronomers had observed and photographed the Eye and noted that it had grown smaller. Shorlty thereafter, astronomers observed it using the Hubble Space Telescope and came to the same conclusion. 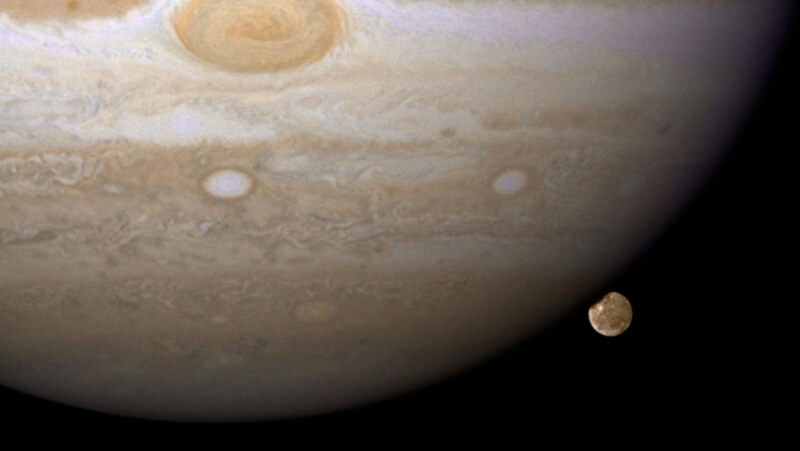 Based on their calculations, they estimate that Jupiter’s Eye, a giant long-lasting storm, is narrowing by more than 900 kilometres a year, much faster than before. At this rate, they claim, it will be gone by 2031 – just 17 years from now. Using historic sketches and photos from the late 1800s, astronomers determined the spot’s diameter then at 41,000 km (25,475 miles) across. Now, it is turned from a giant ovoid into a discrete circle that is a mere 16,500 kilometres (10,252 miles) across. 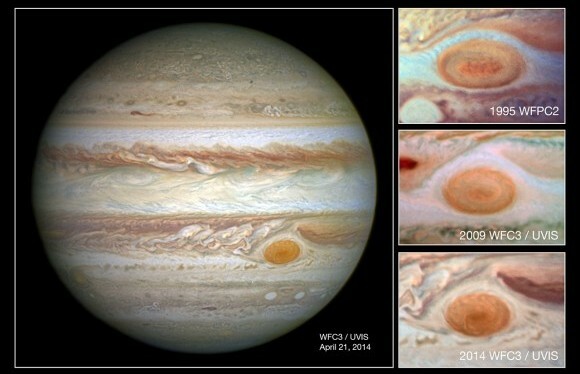 Many who’ve attempted to see Jupiter’s signature feature have been frustrated in recent years not only because the spot’s pale color makes it hard to see against adjacent cloud features, but because it’s physically getting smaller. In our new observations it is apparent that very small eddies are feeding into the storm. We hypothesized that these may be responsible for the accelerated change by altering the internal dynamics of the Great Red Spot. Michael Wong, a scientist at the University of California, Berkeley, seems to be in agreement. He stated that one theory is the spot eats smaller storms, and that it is consuming fewer of them. But for the time being, scientists can’t be sure why its getting smaller, why the eye is red in the first place, or what will happen once it is completely gone. 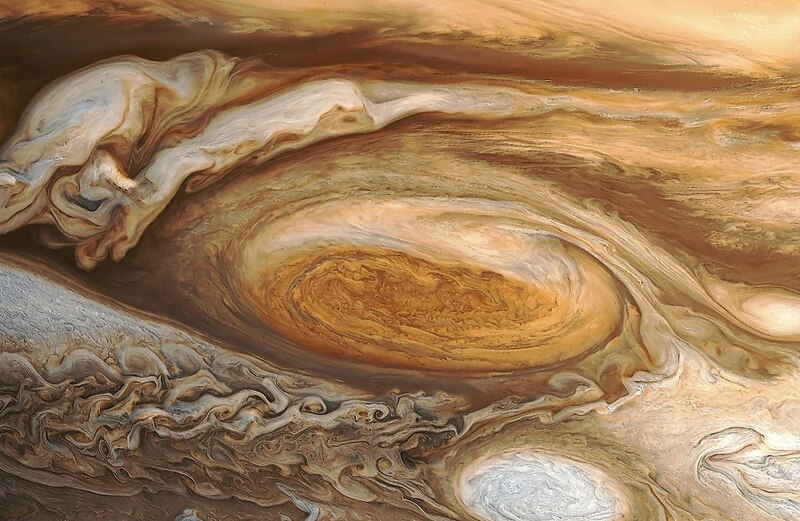 The Great Red Spot has been a trademark of the planet for at least 400 years – a giant hurricane-like storm whirling in the planet’s upper cloud tops with a period of 6 days. But as it’s shrunk, its period has likewise grown shorter and now clocks in at about 4 days. The storm appears to be conserving angular momentum by spinning faster and wind speeds are increasing as well, making one wonder whether they’ll ultimately shrink the spot further or bring about its rejuvenation.